Bengaluru-based real estate major Embassy Group became the first real estate company in India to launch Amazon's Alexa enabled smart homes, that come pre-installed with Amazon Echo devices. Amazon had launched its Alexa service only a few months back in India and the Embassy Group is installing it at their Edge Project in the IT city. Amazon Echo devices are smart speakers that use Alexa Voice Service, and can turn houses into voice-enabled smart homes. By just voice commands residents will be able to control smart home appliances, play music, and order products from Amazon besides other functionalities. Residents will also be able to access this service through smartphones, even when they are not at their homes. Interestingly, Embassy Group's Edge project is located near the Bengaluru airport and is expected to have 800 apartment units with pre-installed Amazon Echo devices. Through Amazon's Echo devices homeowners will also be able to interact with each other, organise society meetings in the community, monitor movements, book cabs, order food and even buy groceries by just using their voice. Amazon Echo devices will also enable the residents to automate their homes to optimise their energy consumption. “We feel that voice is one of the most natural way of interfacing with others and hence we have these Echo devices that will listen to voice requests. 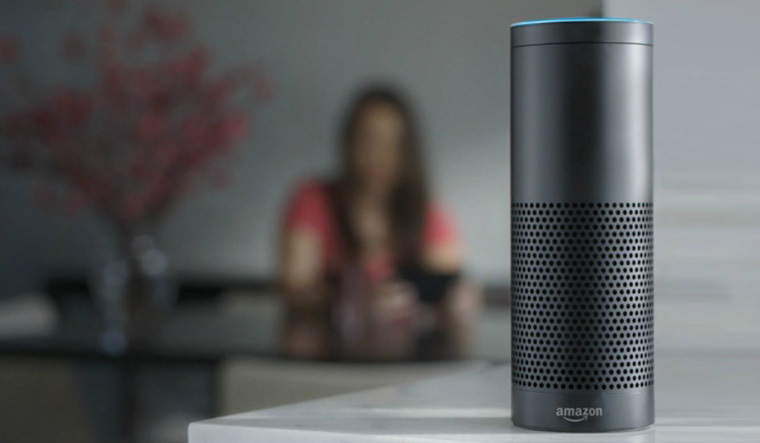 A person will be able to control the Amazon Echo devices through his or her voice. Though Amazon Echo devices are very popular in the United States we have recently launched them in India. The Amazon Echo devices are very less bandwidth intensive and there is minimum latency on them. They are in turn connected to the cloud infrastructure. Users will also have full control on the security and privacy on them and they would be able to control that with a press of a button. Sometimes walking around the home and giving voice commands to control smart home appliances or getting information may seem straight out of a sci-fi movie. There is a huge opportunity for us here in the Indian market,” said Puneesh Kumar, country manager for Alexa Experience and Devices, Amazon India. Jitu Virwani, chairman and managing director, Embassy Group said that such kind of technologies have the potential to transform the residential sector in India. “We wanted to offer smart home automation in the form of Amazon Echo to our modern home-buyers at our project Embassy Edge in Bengaluru. We may in the future replicate this technology concept in our other residential projects across micro markets.” remarked Virwani.